HIAL airports have seen a significant rise in passenger numbers. Leading regional airport operator, Highlands and Islands Airports Limited (HIAL), is reporting a significant increase in turnover and passenger numbers for the 2016/17 financial year. The private limited company, which is wholly owned by the Scottish Ministers and is responsible for the management and operation of 11 airports across the Highlands and Islands, has boosted turnover to £21.4 million, increased passenger numbers by 15.4% to 1.6 million, and cut losses from £3.38 million in 2015/16 to just £8,000, for the same period in 2016/17. Figures also highlight a continued investment of £16 million across the group’s airports at Barra, Benbecula, Campbeltown, Dundee, Inverness, Islay, Kirkwall, Stornoway, Sumburgh, Tiree and Wick. HIAL Chief Executive, Inglis Lyon, believes the airport group is in good shape for further growth in the current financial year. “Working with stakeholders, we are committed to supporting the essential socio-economic role of aviation in Scotland through the maintenance and development of our airports, many of which provide important jobs and support in fragile economic areas,” he said. “However, whilst we are delighted with the progress being made, the HIAL board and our partners must take advantage of this positive position by finding additional funding from which to further invest in our facilities and services and ensure the growth trend continues to be upwards. 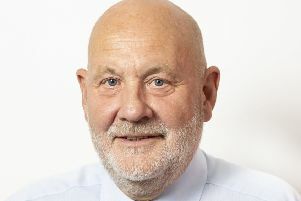 “Connectivity remains key to the success of the Scottish, as well as the Highland and Islands economy, and for HIAL, it is at the forefront of everything we do. In recent years HIAL has placed significant focus on developing new routes with the various airports’ offering improved significantly, with new routes to Amsterdam Schiphol, London Heathrow, Norway’s Bergen from Kirkwall, as well as a first flight from Inverness to Palma, Majorca. Scottish Government Minister for Transport and the Islands Humza Yousaf welcomed the progress being made at HIAL and said: “These figures are very encouraging and I commend the staff at Highlands and Islands Airports Ltd for their hard work. “The rise in passenger numbers is particularly pleasing and underlines the importance of these airports to the remote communities they serve. “Not only do they provide vital lifeline services and onward connectivity for travellers, but they also help support local economies by encouraging more people to visit the Highlands and Islands. Mr Lyon, also pointed to the route development initiatives and increased investment in facilities as playing a key role in recent success within the airport group and said they were beginning to reap rewards for all involved. “These new links mean the airports are now better connected than ever. With Highland links to two of the world’s busiest aviation hubs at London and Schiphol, passengers have quick and easy access to global transfers taking them to the rest of the world. “Further development and improvement in connectivity for the Highlands is not only good for tourism, but crucial to attract new inward investment and enhanced business opportunities. “Ultimately, better access will lead growth and help the region to prosper. “Recent figures we have suggest that in one year Inverness airport contributed directly to a £75 million boost for the Highland economy from increased visitor numbers. “In addition, we have also placed additional emphasis on creating an even more efficient organisation, with a strong focus on reducing overheads. “As a publicly owned company, everyone at HIAL is aware of the need to deliver positive results and exceptional value for money for the taxpayer. “HIAL operates within a tight budgetary framework. This means we must continue to achieve economies of scale where possible, managing costs without compromising safety in any way. The improved passenger numbers have continued during the 2017/18 financial year, with the total to August across the 11 HIAL airports reaching 832,287 – a 10.6% increase on the same period for the previous year.